The class schedule is on the Valdez Ice Fest home page. Intro Classes are for Never Evers, people who are brand new to the sport. Ladies Only Intro to Ice Climbing, Saturday, 9:30 - 12:30. Heather Mobley. 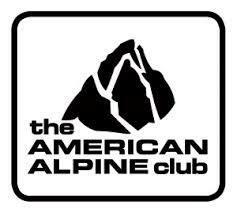 Adaptive and Co-Ed Intro to Ice Climbing, Saturday, 9:30 - 12:30. Chad Jukes. Kids Intro to Ice Climbing, Saturday 9:30 - 12:30. Marcus Garcia. Beginner Classes are for recommended for those who have climbed fewer than 5 times. Ladies Only Beginner, Saturday 1:30 - 4:30. Heather Mobley. Co-Ed Beginner, Saturday 1:30 - 4:30. Chad Jukes. Beginner > Intermediate Clinics are for climbers who have climbed more than five times, are comfortable with the gear and have decided they’d really like to get more competent and confident. Kids Beginner > Intermediate, Saturday 1:30 - 4:30. Marcus Garcia. Photography & Ascending Ropes, Saturday, 1:30 - 4:30. Clint Helander. Ladies Only Beginner > Intermediate, Sunday 9:30 - 4:30. Heather Mobley. Intermediate Classes invites committed ice climbers who are strong beginners (climbed at least 10 times) to solid intermediates. Intermediate Backcountry Seminar, Sunday, 9:30 - 4:30. Clint Helander. Advanced Classes are for climbers who have climbed enough that they are ready to start leading or have just begun leading. Intro to Steep Ice, Sunday, 9:30 - 12:30. Marcus Garcia. Intro to Mixed Climbing, Sunday, 1:30 - 4:30. Marcus Garcia. Further class details are on the EventBrite ticket sales site. We continue to try to evolve the event to respond to climber feedback from previous years. We are planning to offer supervised ropes that will be available for partners to top rope. These ropes are intended primarily as practice areas for pairs of beginner to intermediate climbers. Also due to demand, we plan to try to keep several popular bucket list-worthy climbs in the heart of the canyon open for more experienced climbers to climb on their own. There is also a plethora of climbing available for experienced climbers with their own gear that are not far from either end of the heart of Keystone Canyon. Ultimately, all the conditional words above are due to the fact Mother Nature in combination with our concerns for safety measured with a healthy dose of fun will determine which routes are used for which purposes. We look forward to welcoming you to Valdez and hope you enjoy the fine people and activities we’ve brought together for your your enjoyment. Namaste!